The 2019 Land Rover Range Rover Sport colors enhance the style and experience of driving a luxury SUV through Great Neck. If you’re interested in Range Rover Sport colors, both on the Range Rover Sport interior and Range Rover Sport exterior, find out more below or visit Land Rover Freeport for more information. 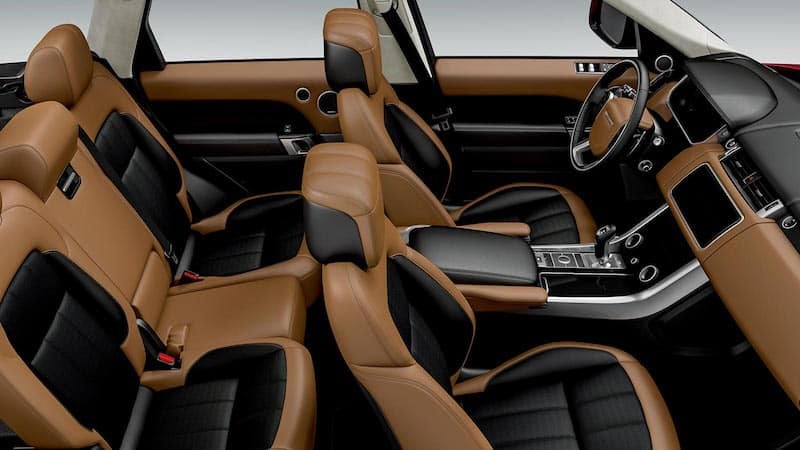 The new Range Rover Sport interior brings a lot of style and functionality to your Glen Cove commute. One thing you’ll certainly notice about this model is the interior color options. Aside from the interior, the Range Rover Sport exterior delivers a vast assortment of color options to ensure you get the ride that matches your personality and style. The Range Rover accessories allow you to complement your Range Rover Sport colors with an assortment of features and tools to make your ride more enjoyable. There’s a lot to love about the new Range Rover Sport, and Land Rover Freeport has the model you need to bring home to Freeport today. If you’re interested in learning more about this model, such as its towing capacity down to its engine options, let the team at Land Rover Freeport help. Contact us today to find out more about our vehicle specials.